Particulars:Number 97 of 240 pieces built N400. Sought after manual gearbox. One word: new!! 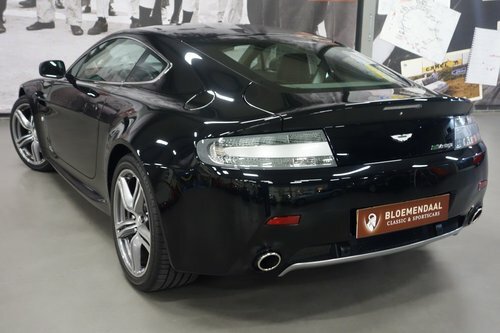 Delivered by Aston Martin Dusseldorf Germany, to the Luxembourg owner on July 2, 2008, this Aston Martin V8 Vantage N400 was cherished in the small country and only driven as a second car and only when it was dry weather . 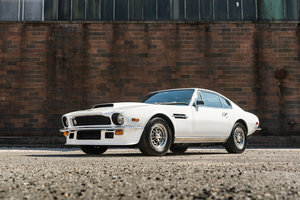 When the car was purchased by the second and Dutch owner, the Aston had driven just 12.000 km. The current mileage is still very unique: only 17.090 km. The condition: really like new. The fantastic interior, the technique and the superior paint; everything is of a very high quality. The Coupé was used by both owners purely as a hobby car and then it also had to be perfect weather. It may be a N400, or a Nürburgring version, but the car has never seen a circuit. The perfect condition is not only due to the good care of the owners, but also to the craftsmen who carried out the maintenance. 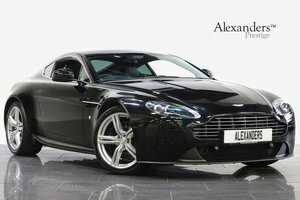 Of course at the Aston Martin dealer, in this case the last service à € 1.848, = (5-4-2017 at 12.178 km.) at Cito Motors in Eindhoven. 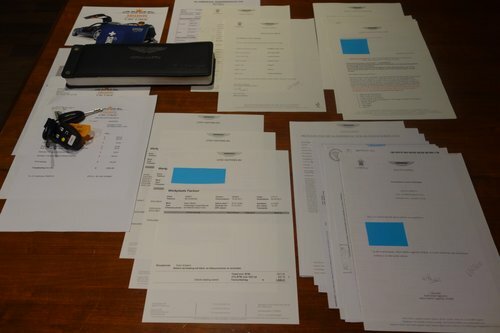 During that time Exclusive Car Care from Gemert also carried out a Royal VIP Detailing treatment of the paint and interior at € 2.486, = Of course all invoices are present. You might have noticed that we are dealing here with a real enthusiastic car owner. 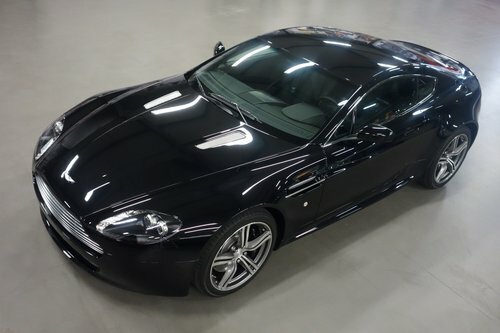 Why is this Vantage V8 so special? 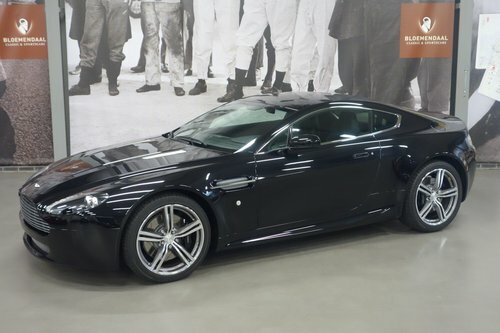 Firstly, an Aston is already a special car of course. But if only 240 pieces of a certain version have been made, then it is a really unique version. The “N” in the type designation refers to the famous German circuit Nürburgring. 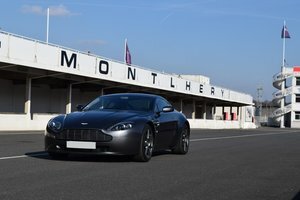 The model is bringing a homage to Aston Martin’s participation in the 24 Hours of the Nürburgring. 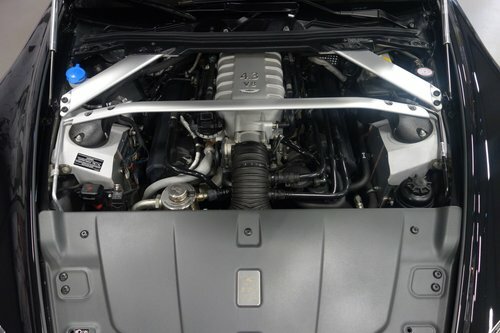 The meaning behind the 400 series is the 400 horsepower that comes from the mighty 8-cylinders. 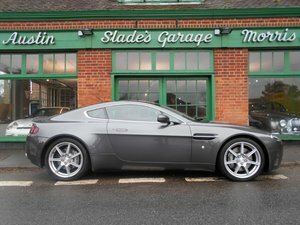 That is 20 more than the ‘standard’ V8 Vantage 4.3 delivers. And why the 480 pieces? Aston Martin has the production numbers evenly distributed over the Roadster and the Coupé. Of both 240 pieces. And how they came to the number 480? During tests at the Nürburgring Nordschleife the N400 could make a lap time in less than 8 minutes. A major achievement, and so the British manufacturer decided to tune the production number to the 480 seconds that are in 8 minutes. And the color names? 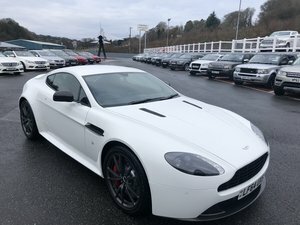 These are named after the most famous parts of the Nürburgring such as the Karussel and in the case of our Aston: Bergwerk; the fast part where F1 driver Niki Lauda almost lost his life in 1976. But that aside, because we are only talking about nice cars here. More than nice cars, which makes the enthusiast happy. To see and hear and even more to possess. We would like to meet you and to show and experience this N400. We promise you not to talk too much about our passion for this type of car. We just let the 8 cylinders speak for themselves. And we are sure that you, as a demanding car enthusiast, can really judge the style and quality for yourself.